As part of efforts to help people from different walks of life transact online without limitations and make money, Paxful unveiled Blockchain and Cryptotalk at Pelican Hotel and ResortLekki, Lagos. We are completely reeling out our brand image and planning to open a Paxful office in Nigeria soon for easy interaction with our community. Our website is going through a complete redesign, and we have so far been focused on development with our users in the correct way. Paxful is not a lending platform. If you are a buyer, you are 100 percent protected. We verify and check all our sellers for safety, you can pay with confidence with 2-factor authentication, escrow, highest level encryption and professional audited security. “Our biggest markets are currently in the US and Nigeria. However, we are seeing highest growth in Africa as we are bringing financial inclusions to many countries where people are largely unbanked or underbanked. The community of bitcoin users is fast growing and Paxful is here to ensure support to existing users and educate new entrants on the opportunities for entrepreneurs and individuals.” he added. Other speakers at the well attended event include Elliott Hoffman, COO Paxful, ChimezieChuta Coordinator Blockchain Nigeria User Group, and Lucky UwakweCertified Crypto Expert. Speaking at the Nigerian Blockchain Conference on Friday 24th of November, The Chief Technology Officer, Artur Schaback gave various insights on building a successful peer2peer bitcoin marketplace. He mentioned some successful and failed peer-to-peer (P2P) bitcoin marketplace and advised attendees to pick important lessons from the stories they have heard at the conference. He further advised the attendees to challenge themselves, take risks and start building. 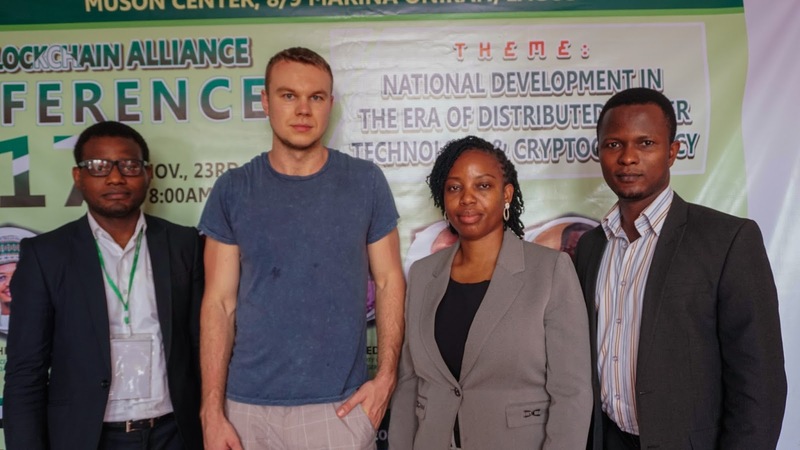 His speech at the first edition of the Nigerian Blockchain Alliance Conference was titled “Building Successful Blockchain and Fintech Product.” He educated the audience on how to develop a Fintech application from scratch. He also noted that building a successful Blockchain and Fintech Product is not for the weak as there would be challenges and only those willing to take the challenges can build a successful Fintech product.